For many facilities and plants, route-based, preventive maintenance and the manual entry of measurements on a clipboard are the norm. While the Industrial Internet of Things (IIoT) has disrupted operation processes and data aggregation, maintenance activities remain largely labor-intensive, with some data being transferred to a computerized maintenance management software (CMMS) system. However, the clipboard’s days are numbered. To avoid potential problems, speed up preventive maintenance routes, minimize errors and automate processes, implementing a CMMS can be the beginning of streamlined preventive practices and allow for the introduction of predictive, condition-based maintenance. Predictive technologies with continuous monitoring and data integration with a CMMS can eliminate or minimize the need for physical data gathering and entry. How Does a CMMS Work & What Are the Benefits? Clipboards and manual data entry by technicians or maintenance planners into spreadsheets or other databases can be tedious. Errors may also be introduced during the transition from paper to digital records. Correctly implementing a CMMS instead of a simple database can offer numerous benefits for a facility. A CMMS provides a central storage location for the majority of data and information for assets. When leveraged properly, it manages and controls work and materials or parts usage processes as well as tracking maintenance activity across the life cycle of an asset—becoming one source of truth for the plant or facility. It works by storing master data, automating work execution processes, monitoring equipment using predictive and condition-based maintenance techniques, managing maintenance resources, recording inventory levels and providing management with reports to make data-driven decisions. Maintenance, facilities and operations departments can use a CMMS to manage assets, work orders, work requests, preventive maintenance tasks, inventory and parts, condition monitoring, and maintenance schedules. All maintenance activities and data can be monitored and analyzed by the maintenance planner using robust CMMS reporting and dashboard tools. An intuitive CMMS interface makes managing maintenance easy for team members at all levels and roles, from maintenance technicians to upper management. Most modern, cloud-based CMMS systems can be accessed on connected smart devices. 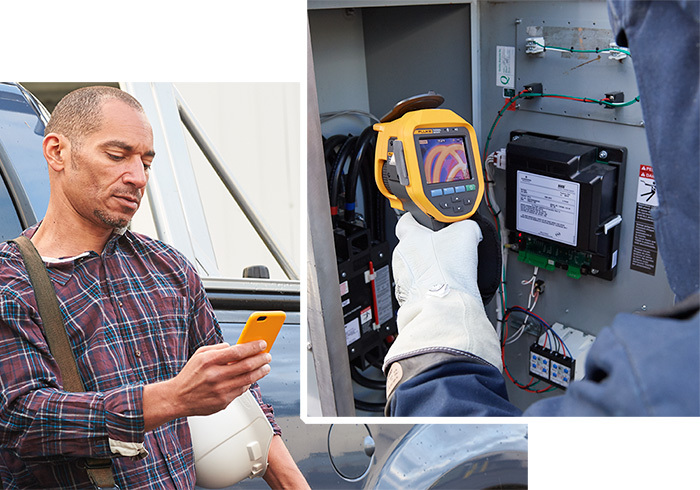 With a mobile solution, technicians can view and close out work orders while in the field or on the plant floor, making completing work on-the-go easier. The maintenance data can then be used in reports that are meaningful to the organization. CMMS systems can be delivered as a web-based, software-as-a-service (SaaS) model or as an on-premise model. SaaS systems can provide a lower total cost of ownership and higher return on investment for plants. How Does Integrated Data Optimize Use? Aggregating data in one location from handheld tools and wireless sensors is a benefit for plant and maintenance managers, reliability engineers, maintenance planners and technicians. Some wireless sensors that may be beneficial are those that collect temperature, electrical, power, thermal and vibration data. A system that wirelessly connects handheld test tools and sensors to connected devices can provide precise data on asset health to the maintenance manager trying to mitigate failures. For some systems, data from both wireless sensors and wirelessly connected handheld tools can be sent to the same database and/or the CMMS to provide an asset history for analysis and documentation for internal and regulatory requirements. By wirelessly syncing measurements taken with handheld tools and comparing them to condition monitoring data, facilities and plants have a more comprehensive picture of their equipment and health. Image 3. A CMMS interface makes managing and scheduling work activities easier. One southwest oil and gas company needed a way to manage maintenance and develop preventive maintenance routes. Before the CMMS, the company used spreadsheets to manage the maintenance of all assets except fleet vehicles, which were managed by a separate fleet management system. Tasked with managing more than 10,000 assets, the team needed a system that was flexible and affordable. The team also needed support for implementation, which included an asset inventory and hierarchy to determine work order and track assets and work completion in all its divisions. The team chose a cloud-based system that integrated with the fleet management software, provided transparency of completed work with its dashboards and reporting capability, and supports and tracks compliance with many organizations, including the Environmental Protection Agency and the Federal Department of Transportation. The system fit the needs for all of the business units. Why Should End Users Bring Everything Together? 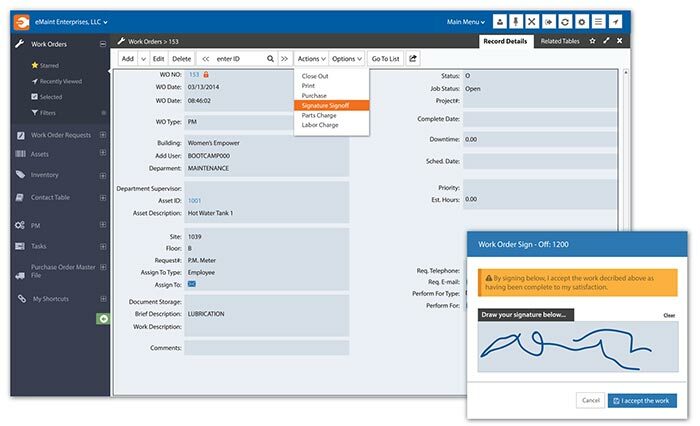 With the quickly growing IIoT and the need to perform reliability and maintenance activities more quickly, often with fewer planners and technicians, a cloud-based SaaS CMMS with integrated data from tools and sensors reduces manual-entry errors, increases the time technicians have for preventive maintenance, and offers the opportunity to implement condition-based monitoring with sensors. To move toward proactive maintenance strategies, a CMMS and condition monitoring are two critical pieces of any comprehensive system solution. Read more Maintenance Minders on Pumps & Systems by going here. Gregory Perry is a certified reliability leader and serves as a senior maintenance reliability consultant at Fluke Accelix. He may be reached at gregory.perry@fluke.com. For more information, visit emaint.com or accelix.com.